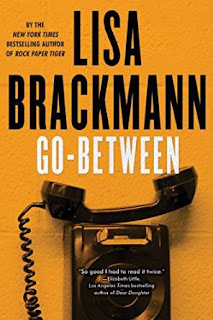 I enjoyed Lisa Brackmann's China-based series of postmodern thrillers, but I've also been waiting Getaway, set in Puerto Vallarta, Mexico. Getaway is a pure noir thriller about an innocent abroad, a widow whose husband turns out to have been a crook, and whose getaway to a resort town leads her into a breathless getaway of a different kind. The sequel has finally arrived: Go-between, and I hesitate to say anything at all about the plot because the twists and turns start immediately and carry on until the final pages. Most of the book is set in Houston, and Texas is an appropriate setting in many ways, not least because some classic noir (including some of Jim Thompson's stories) has happened in Texas (the fictional as well as the actual state). Go-between features a range of topics and backdrops, from a northern California riddled with marijuana dealings of legal and illegal sorts, airplanes (also a factor in Getaway), for-profit prisons and state-run ones, nonprofits that may or may not be sinister fronts for corporate greed, and the failure of wealth and privilege to protect against the encroachment of violence and misery. 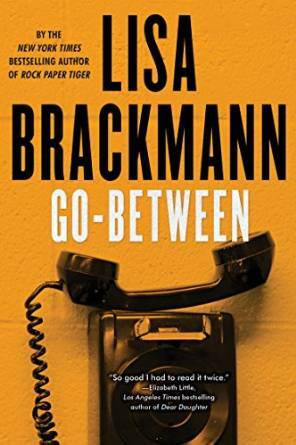 Brackmann sets up a series of threatening situations from the beginning of the book, and the plot unravels from there as the heroine attempts to salvage something of her life. The pace is fast and the threat palpable, though some readers (one spoiler alert ahead) might find the last few pages a bit anticlactic after the considerable build-up of tension.